Matt grew up in a small town Virginia and started dancing as a bboy at age 18. His interest quickly spread to hip hop and after winning a local talent competition, he was offered the head choreographer position for the University of Virginia hip hop dance crew. Matt spent the next few years competing on the east coast with his crew and teaching around the US, before deciding he wanted to pursue dance full time. He broke into the commercial industry quickly after moving to LA in 2010 dancing for artists such as Chris Brown, Lil Wayne, Jermaine Jackson, Snoop Dogg, DJ Tiesto, Busta Rhymes and Tyga. Matt also performed on So You Think You Can Dance, The Tonight Show with Jay Leno, Bravo TV & choreographed for TV and commercials overseas. Matt has also made a big impact online through his YouTube channels and social media. With over 80 MILLION views and over 700,000 subscribers, he’s been able to connect with dancers all over the world. Combining the ability to reach millions of dancers with his passion for teaching, he created Dance Tutorials LIVE in 2012. The mission of the company is to make online dance classes accessible to those that might not have a studio nearby or the financial means to take class regularly. In it’s first year, Dance Tutorials LIVE got over 10 million views and praise from magazines and dance companies worldwide. 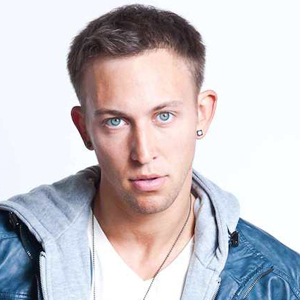 Currently, Matt teaches at dance conventions and master classes around the world.